Louis Kahn: modernist architect, shipwright? Kahn’s lesser-known and only maritime project, Point Counterpoint II, a 195-foot floating concert hall, could soon face demolition if no potential buyer claims the ship. The ship was commissioned in 1976 by the American Wind Symphony Orchestra (AWSO) as part of a Bicentennial project. It is currently docked in Ottawa, Illinois, where it awaits its uncertain fate. Owner Robert Austin Boudreau has been trying to find a new guardian for two decades, but to no avail. If no buyer follows through by the time AWSO finishes its 2017 tour, it will be sent to a shipyard where its acoustical shell will be dismantled and the rest repurposed as a derrick barge, according to the Pittsburgh Post-Gazette. 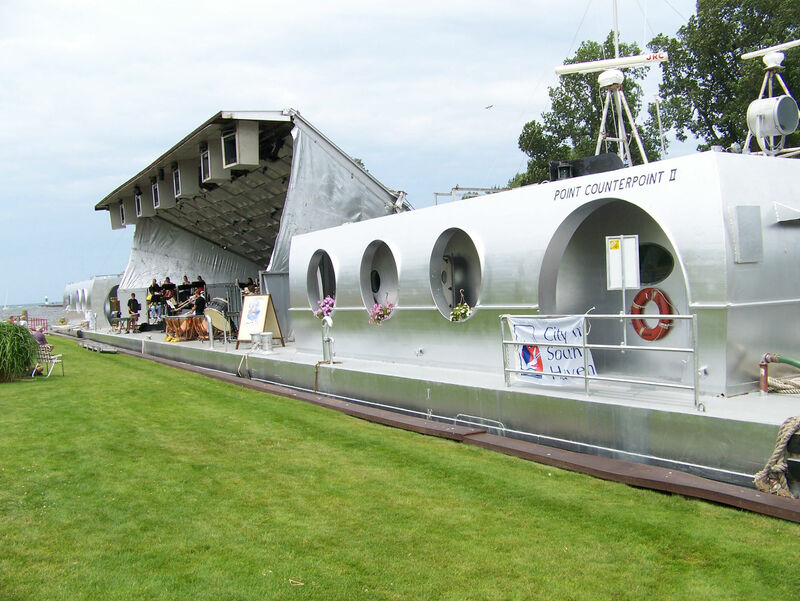 The floating stainless steel concert hall has carried an orchestra up and down America’s waterways since its construction, docking at major cities and small towns without orchestras along its route. Once docked, the roof of the barge opens up—not unlike a clam shell— revealing its concert stage. It also doubles as an art gallery and theater showroom.